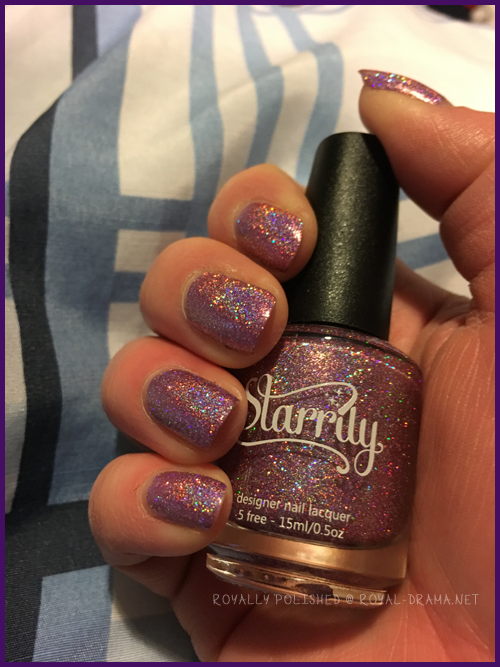 Note: I applied this polish on January 30th and took the photos on January 31st. I have a confession, I love this nail polish. Yep, I splurged and bought the 2 Cristine (Simply Nailogical) nail polishes that I REALLLLLLLLLLLLY wanted. The ones that kept selling out. Yep, the ones named after her two cats. Yes, I am an adult, I swear. 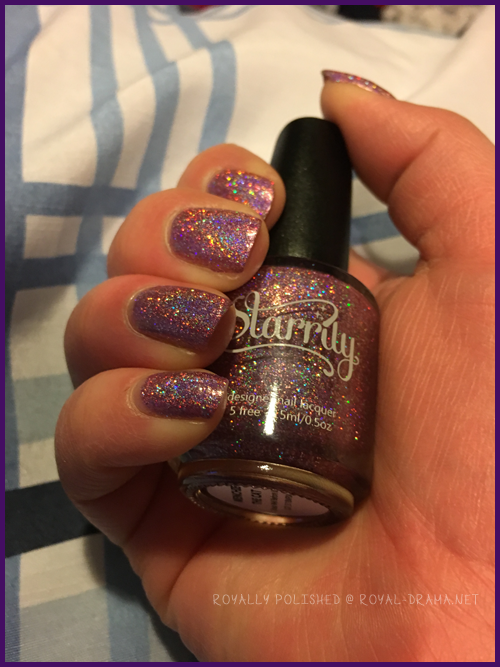 They looked super pretty and I was hoping to have a better experience with one of her polish collaborations (see my review for Black Holo Witch) so I splurged. And I am glad that I did! The first one I decided to try was Menchie. I will review her brother Zyler's polish at a later date. 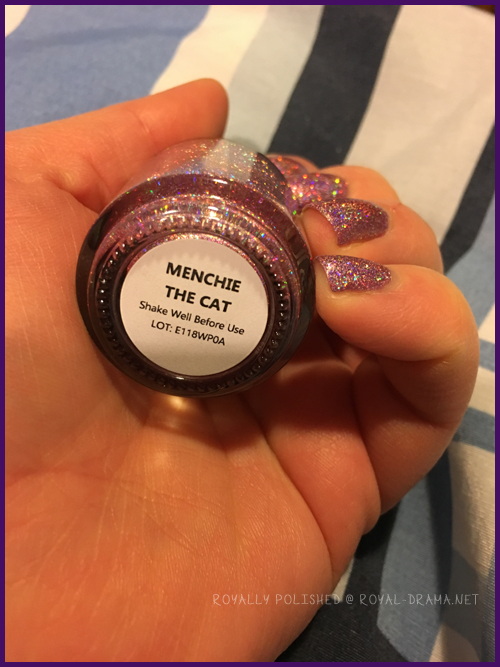 I was super worried that Menchie's application was going to be like how Black Holo Witch's ended up being but I worried for no reason. I just ended up doing two coats like I would any other polish. 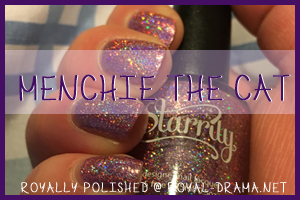 The formula was fantastic and you instantly fall in love with the holo glitter. The coloring kind of changes depending on the light. 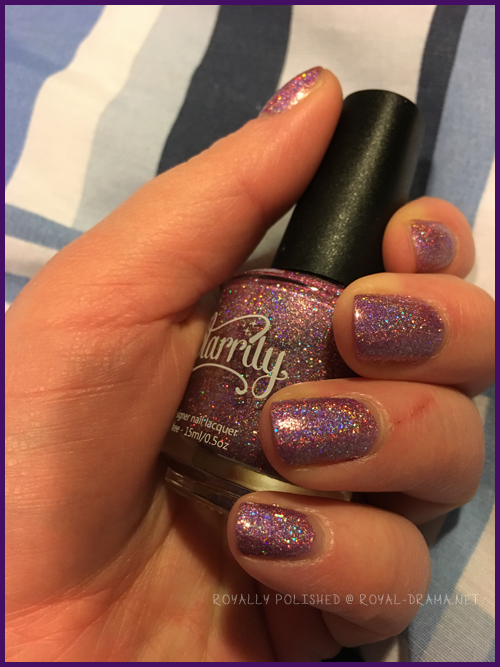 It is like a baby pink with a purple undertone with silver holo. It dried very quickly even without the top coat. Overall I am giving this polish a 6 out of 6 stars. Buy it. Buy it now! You will thank yourself!